To create a genuine market-based economy and facilitate Ukraine’s continued movement towards political association and economic integration with the EU, corruption and anti-competitive practices must be eliminated, while creating a favourable investment environment and protecting intellectual property rights. Mykola Kovinia, beneficiary project leader and chairman of the state intellectual Property Service of Ukraine, praised the ongoing co-operation with European experts that is part of this project. He believes that Ukraine should build on EU expertise in the process of reforming its intellectual property rights system. “It is important as the EU is moving towards a high-tech economy and intellectual property is an integral part of such an economy,” Kovinia stressed. In Ukraine’s current circumstances, intellectual property protection is important not only for boosting employment and improving competitiveness in Ukraine, but also for making progress in its quest toward European integration. In this regard, the Twinning project will help Ukraine deliver on the commitments it has undertaken within the framework of bilateral agreements with the EU. Jan Tombinski, EU Ambassador to Ukraine, confirms that the Deep and Comprehensive Free Trade Area deal (DCFTA) between the EU and Ukraine, which will likely be signed very soon, covers also issues related to the protection of intellectual property rights. “The European Union has moved towards a common European pattern in the intellectual property rights sphere, and Ukraine will be a part of it,” Tombinski emphasised. 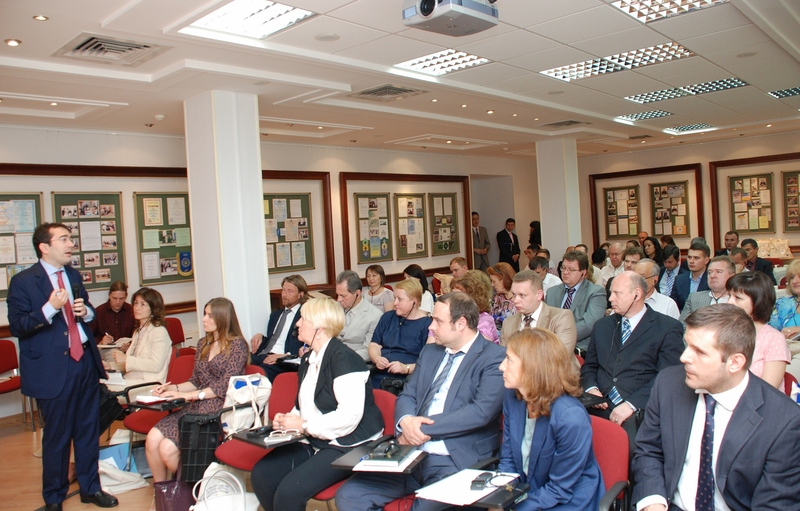 On May 29, the inaugural conference of the EU-funded project, “Strengthening the protection and enforcement of intellectual property rights in Ukraine,” was held in Kyiv. The event, which brought together EU Delegation to Ukraine representatives, Spanish and Danish experts, and Ukrainian officials, provided a platform for presenting key actions planned within the project and sharing information about the initiative’s goals and anticipated achievements. The project is jointly implemented by experts from the Spanish Trademark and Patent Office, the Danish Patent and Trademark Office, and their counterparts from the State Intellectual Property Service of Ukraine. The project has an expected duration of 18 months. Its budget is almost € 1,470 million. The effective enforcement of intellectual property rights is an essential tool to attract foreign investment, encourage the transfer of technology and expertise, and protect owners of intellectual property in Ukraine. In the medium-to-long term, it will also encourage domestic authors, inventors, and investors and contribute to the country’s economic development. In 2010, 56.5 million EU jobs out of a total of 218 million were directly generated by Intellectual Property Rights-intensive industries and these jobs had a wage premium of over 40% over other industries.